Name of world-known Red Square is not connected with communism. There are 2 versions of name appearance: it is a deriver from «Krasniy» which means beautiful; second one is less nice: it’s a color of blood which was spilled after many executions during Middle Ages. You can visit without applying for a visa by taking a ferry/short cruise from Helsinki (to St Petersburg). 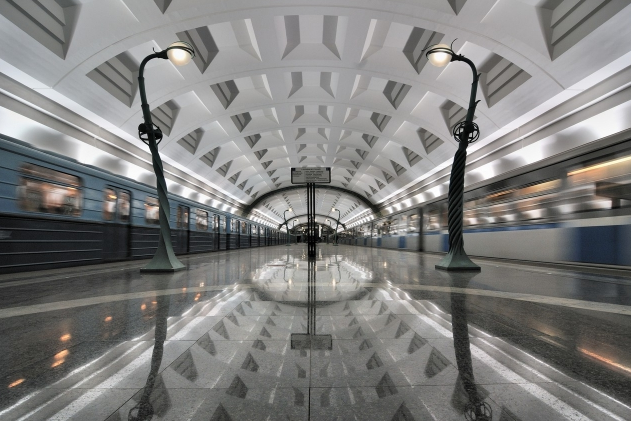 In 2014 Moscow’s underground was recognized as the most beautiful in the world. Subbotnik («subbota» – Saturday) is the day when inhabitants of settelments cities volunteer to sweep up and tidy the streets. It started after the revolution but still happens today. Vasilevskiy Island in St Petersburg offers a bizarre selection of attractions, including a pair of 15th-century sphinxes from Egypt on the river side and a museum of biological oddities where you can see the skeleton and heart of Peter the Great’s gigantic personal servant. The amount of women is more on 11 million than amount of men. The Trans-Siberian Railway spans almost all the way across the county, making it the single longest railway in the world. The 9200 kilometer (or 5700 mile) railway departs in Moscow and crosses into Asia. Russians wear their wedding ring on right hand (not on left one which is peculiar to US or another countries). Wearing wedding ring on left hand means widowhood. Previous PostThe Russian soul: myth or reality?